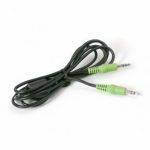 This 10-foot, All-In-One, dual-audio extension cable lets you take advantage of the audio and microphone switching features of Belkin OmniView SOHO Series KVM Switches. 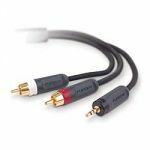 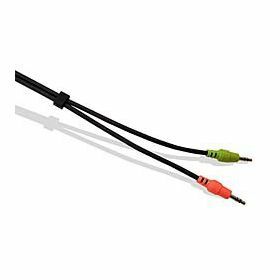 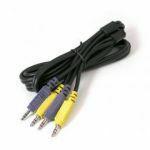 Your purchase includes two stereo audio cables (for audio and microphone) with 3.5mm M/M connectors, as well as PC99 color-coded connectors for easy installation. 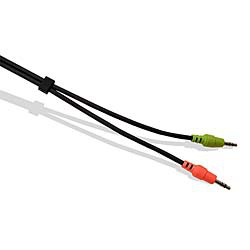 - Connects your audio and microphone source to your SOHO Series KVM Switch.